Spick ‘N’ Span Services provide high access cleaning services across Gwynedd, Anglesey and North Wales. With over 20 years experience we have built a reputation based on our reliability, trustworthiness and continued dedication to high standards of work. Spick ‘N’ Span Services are able to carry out high-level vacuum cleaning in public and commercial buildings. This is ideal for use in shopping centres, superstores, supermarkets, airports, rail stations, factories, food production areas, stairwells, offices and any other area that cannot be reached by operatives. The high-level vacuum cleaner incorporates special swivel flexi-head brushes to allow cleaning of a surface at any angle. Spick ‘N’ Span Services adhere to strict health and safety guidelines, and all of our team are trained to work safely at height. 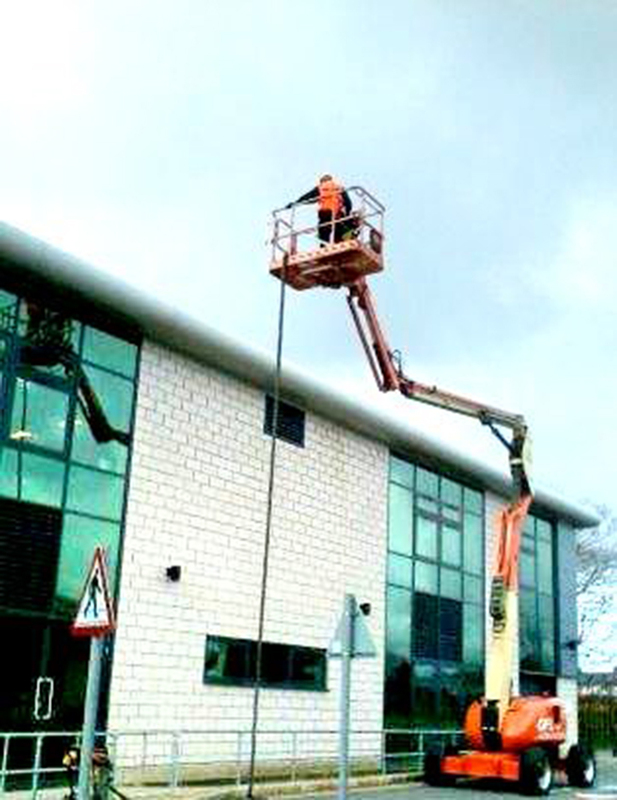 Spick ‘N’ Span Services also has a licence to operate a cherry picker and boom lift. Spick ‘N’ Span Services are fully health and safety compliant, which is evidenced by our accreditation from Safe Contractor. Safe Contractor holds all its members to very high standards and ensures compliance with a strict set of guidelines. A member of our team will meet with you to discuss your requirements further and to create a bespoke cleaning package tailored to meet your businesses needs. All our quotations are free and carry no obligation.